Back-In-Time Is quite possible the best (ok it is the only one I’ve used) system backup and restore software I’ve used for Linux ever! 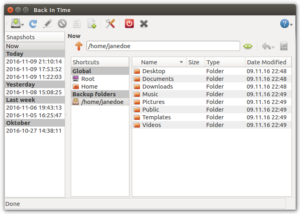 Take snapshots and schedule backups easy! Xubuntu and Thunar the barbarian! So I’ve used quite a few different flavors of *nix but one of my favorite lightweight versions is Xubuntu: That is Ubuntu with XFCE desktop environment. One thing I’ve noticed that is different in this variation is the absence of a “Open as Root” context menu in the file manager (Thunar). Here is how you get around this gap. If you are using webmail or any other page that thinks it needs to log you out after just a few minutes (like it is the only thing you are working on). Here is some code to help you keep a page alive indefinitely. These two lines are the most important. _IECreate launches an instance if IE and $oIE is the hook to send it commands. Oracle has a great table that will give you some great meta data about your other tables and columns called “all_tab_cols“. 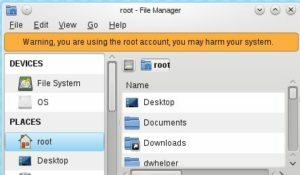 If you find yourself a stranger in a strange land and you do not have admin privileges on your system and you want to see what and who is out there; Here is a way to sweep the network using native Windows tools. This Looks crazy to human eyes but I will break it down for you. for /L %x in (1,1,255) do @ping -a -n 1 192.168.2.%x -w 100 | Find "Pinging"
If you do not know the name Mark Russinovich you need to get to know his work. He started out hacking the windows kernel and building some absolutely awesome utilities used by System Administrator and Hackers alike. I needed to find out if a client has a laptop or desktop computer and the computer is on the network but the client was not available: Hmm. What to do, what to do! WMIC! first what is WMIC?